The prominent Indian archaeologist Vasant Shinde, in a brand new article Current Perspectives on the Harappan Civilization in A Companion to South Asia in the Past (2016) writes: "The Harappan civilization was first discovered at the site of Harappa in 1924, in the jurisdiction of the modern large village of Harappa. in the the Punjab province (now Pakistan). Being that the civilization was first discovered here, it was termed the Harappan civilization. Over time, a large number of sites were discovered and the extent of this civilization became apparnent. 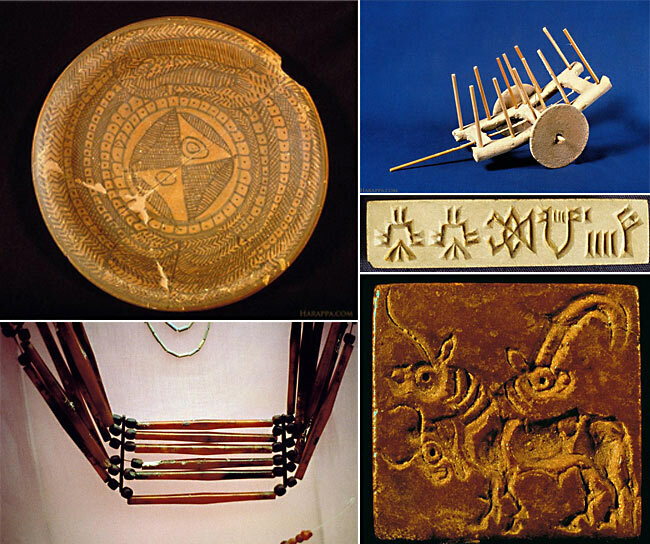 Today the Harappan civilization may be called the Indus civilization, Indus Valley civilization, and most recently, the Indus-Sarasvati civilization. These terms have been used prolifically and scholars justify their use of a particular term based on their orientation to the field. They provide valid arguments for each new name but ultimately this never-ending proliferation will create more confusion. Students and others not so familiar with the archaeology of the subcontinent would have to devote significant time to understanding the etiology of the terms and the different interpretations connoted by these different terms. Archaeological ethics demand an end to this loose appropriation of the the authority to assign new names to the Harappan civilization. The unwritten convention in archaeology is to name the culture after the type-site where it is discovered or identified for the first time. In this chapter, I will use the original term "Harappan civilization" and it is hoped that other scholars will consider broadly adopting its usage. (p. 141). At Harappa.com, we have preferred to call it "Indus civilization," this was its original, more inclusive name given by Marshall, Mackay and other early excavators once the ruins of Mohenjo-daro were unearthed; it gives credit to the enormous river that flows near many major sites and next to Mohenjo-daro; it also connects to the word India and its history. At the same time, there are more rivers than the Indus involved (Harappa is on the Ravi), and we don't call ancient Egypt by the ancient Nile civilization, or Mesopotamia the ancient Tigris or Euphrates civilization. But we do speak of "ancient Sumer," and Sumerian civilization.